I love having messages around my house, that inspire or motivate me. About a year an a half ago, I saw a print in ZGallerie that I really loved. I think initially I was drawn to the color but I also liked what it said. And I was attracted to the crown ... the fact that it had a little cross on top. I am humored by it now because it is EVERYWHERE but then, it was new to me and I loved it. I wanted to buy the framed print for my house, but at the time could not justify the $80+ dollars it would cost me. So I decided to make my own version. I took the image from ZGallerie's website and stretched it to be a 5x5" print and framed it in a silver frame that I already had. I liked it. I liked that it gave me a little pop of the color I wanted, and I liked what it said. I put it in my kitchen where I would look at it often. And then last February, while reading my daily read-in-a-year-Bible, I came across a story that I have heard many times, but this time I heard it a little different. It is the story of the Israelites crossing the Red Sea. I was reading in Exodus (chapter 1) and it is just after the Israelites are finally released from their captivity in Egypt. They are camping along the sea when Pharaoh changes his mind about letting them go and sends his army after them. As the people of Israel see Pharaoh's approaching army they begin to panic. They cry out to the LORD and say to Moses, "Why did you bring us out here to die?" In verse 13 I read, "But Moses told the people, "Don't be afraid, just stand still and watch the LORD rescue you today." The Egyptians you see today will never be seen again. The LORD himself will fight for you. Just stay calm." Ah, I thought ... "Just stay calm." Because God is in control. And then I continued to read, "Then the LORD said to Moses, "Why are you crying out to me? Tell the people to get moving! Pick up your staff and raise your hand over the sea." The story continues on as most of us have heard, with the sea parting and the people crossing over. And it sounded to me like God was saying to Moses, "Keep calm, because I am in control. But carry on with the job you have in front of you!" 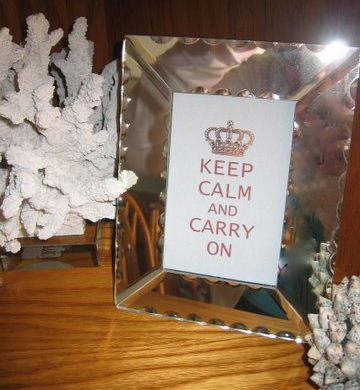 It seems to me that God was saying in essence, "Keep Calm and Carry On!" 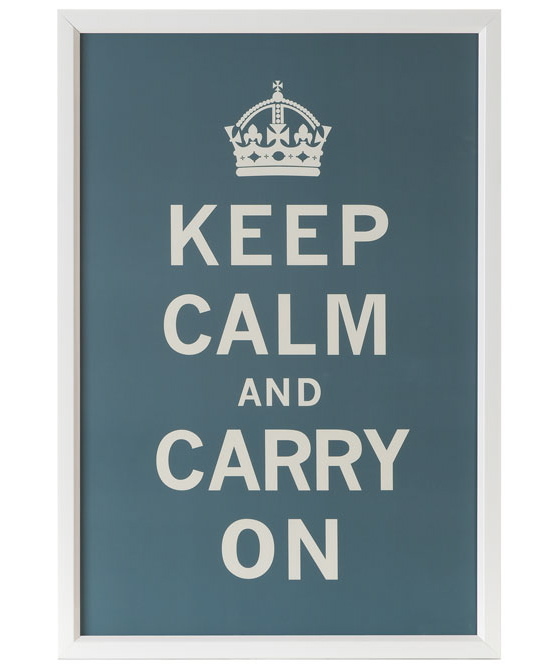 I know the history of the slogan "Keep Calm and Carry On" does not mean this, but it is what I think of now when I see those words. And I like that. It is a good reminder for me. Because this is where I am right now. 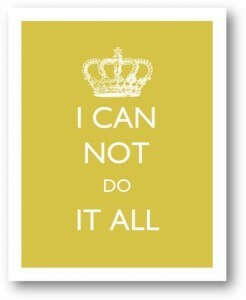 I cannot do everything I want to do, or everything I think I should do. I tend to push myself into exhaustion and I am getting to old for that. So I need a reminder to let some things go and to be okay with that. And maybe in some ways it really says same thing that Keep Calm and Carry On says... do what you can, do what you need to do, but don't fret over what you cannot. 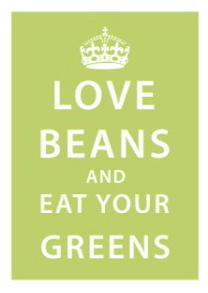 My sister whose favorite color is green just framed a print for her kitchen that says, Love Beans and Eat Your Greens. I really like that too. I may change to that one day because eating more greens is a very good message for me as well! Here is the "Keep Calm" that I made from your inspiration. I love how it turned out. I love how it turned out too! Words can be so powerful. What message would you put up? Wonderful post. I have a post so closely related to this. May I borrow one of your images and link back...with your permission of course. Very inspiring post today. Inspirational messages around the house always help. Thank you for sharing. I love the post today, especially how you tied it to the story of the Isrealites. Inspirering words are so uplifting to have around. 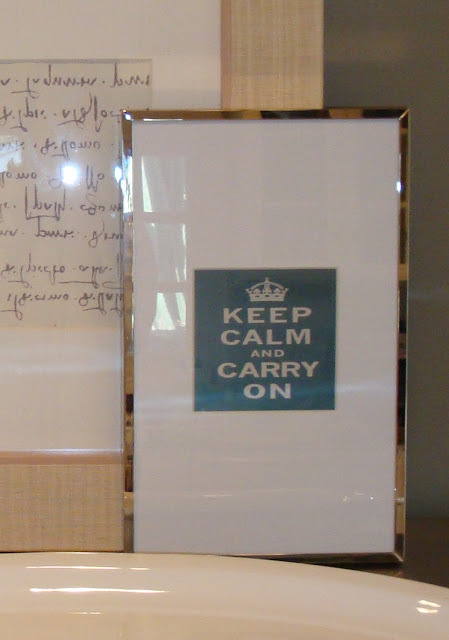 Thanks, dear friend, for including my version of "Keep Calm", it was a delight to see it here today! This is such a great message today. So inspiring! Thank you. Love this post. great post, what bible study are you using? I personally Love the traditional... Keep Calm and Carry On. I think it's so inspiring! But I think the twist on it, "Now Panic and Freak Out" is so hysterical.